The Alzheimer’s Society (2015) reports there are over 850,000 people living with dementia in the UK today. Of these, approximately, 42,000 are people with young onset dementia, which affects people under the age of 65. Dementia is an umbrella term used to describe a range of progressive neurological disorders (conditions affecting the brain). ¨the ability to carry out routine activities associated with daily living. The condition is likely to deteriorate over time and carries significant implications for everyone involved. However, careful advice can provide reassurance to families and carers enabling people to adapt their lifestyles to accommodate the changes that are taking place and ‘live well with dementia’. Around 60% of people diagnosed with dementia, will have Alzheimer’s disease, it is the most common form of dementia in the over 65 age group. Although you can have Alzheimer’s disease under the age of 65 years old, it is comparatively rare. Alzheimer’s Disease is a condition that gets progressively worse over time. In individuals with Alzheimer’s disease a bad protein develops in the brain causing damage to the brain cells and their connections. Around 17% of people diagnosed with dementia will have vascular dementia. It is the second most common form of dementia in the over 65 age group. Although you can have vascular dementia under the age of 65, it is comparatively rare. Vascular dementia is an umbrella term for a group of conditions caused by problems with blood circulation to the brain. It is caused by small blood clots preventing oxygen reaching the brain tissue. Damage to the blood supply can also be caused by blocked arteries or bursting of blood vessels in the brain. Around 15% of people diagnosed with dementia will have dementia with Lewy bodies; it is the third most common cause of dementia and is more common in people over the age of 65 years. Dementia with Lewy bodies is a progressive condition where the symptoms will gradually get worse over time. The symptoms can be similar to those found in both Alzheimer’s disease and Parkinson’s disease. What causes dementia with Lewy bodies? People diagnosed with dementia with Lewy bodies have a build up of clumps and proteins in their nerve cells in their brain known as Lewy bodies. This damages the way the nerve cells work and communicate with each other. In people under the age of 65, frontotemporal dementia is the second most commonly diagnosed dementia but it is less common in the over 65 age group. Frontotemporal dementia represents a group of conditions caused when nerve cells in the brain die and the nerve pathways are damaged in the frontal and temporal lobes of the brain. The damage to the brain is linked to abnormally forming proteins that interfere with communication between brain cells. As part of the Governments initiative ‘Living well with dementia’, `Eight common core principles where developed in partnership with Skills for Care and Skills for Health. These common core principles help to develop a workforce that responds confidently to the person with dementia. The principles enable health and social care settings to become ‘dementia friendly’, with a workforce who are confident in supporting dementia, whether in community, hospital or specialist settings. Principle 1- Know the early signs of dementia. Principle 2- Early diagnosis of dementia helps people receive information, support and treatment at the earliest possible stage. Principle 3- Communicate sensitively to support meaningful interaction. Principle 4- Promote independence and encourage activity. Principle 5- Recognise the signs of distress resulting from confusion and respond by diffusing a person’s anxiety and supporting their understanding of the events they experience. Principle 6 – Family members and other carers are valued, respected and supported just like those they care for and are helped to gain access to dementia care advice. Principle 7- Managers need to take responsibility to ensure members of their team are trained and well supported to meet the needs of people with dementia. In later stages these signs will be more pronounced, and it can become more difficult for people to live well with dementia. Health and social care workers should understand these signs so they can identify if people they are caring for may have dementia and need adjustments to the care they receive. It is important that you understand that these signs are associated with dementia – but they can also be associated with other conditions that may need investigation. Health and social care workers should understand that when people with dementia show challenging behaviour they are not being challenging on purpose, but that this is part of the condition (principle 5). Think about the whole person when assessing for signs of dementia, taking into account their usual interests, behaviour and home support. People with dementia may have difficulty with time and place, for example, getting up in the middle of the night to go to work, even through they’re retired. Their concentration could be affected. There may be difficulty when choosing items and making decisions. Some people with dementia get a sense of restlessness and prefer to keep moving than sit still; others may be reluctant to take part in activities they used to enjoy. People with dementia may repeat themselves often or have difficulty finding the right words. Reading and writing might become challenging. They might experience changes in personality and behaviour, mood swings, anxiety and depression. People with dementia can lose interest in seeing others socially. Following and engaging in conversation can be difficult and tiring, and so a formerly outgoing person might become quieter and more introverted. Their self-confidence might be affected. People with dementia might have problems retaining new information. They might get lost in previously familiar places and may struggle with names. Staff might notice the person seems increasingly forgetful, misplacing things regularly. However, we all forget a name or face once in a while and this is nothing to worry about. If it happens on a frequent basis, it’s advisable to contact the GP who can check why this may be happening..
Dementia can be seen as a combination of one, or all of the symptoms. If someone is experiencing one or more of these symptoms, which have been occurring for a while and are progressively getting worse, then please arrange a visit to the GP. There are however, many other reasons someone might be experiencing confusion or memory problems. Any sudden deterioration or change in someone’s behaviour or functioning, is likely to be caused by an acute physical illness of their body or brain. If you notice a change to the person’s usual behaviour over the course of hours or days, this is known as a ‘Delirium’. Symptoms can vary. They include visual hallucinations, agitation, restlessness, increased confusion, aggressiveness, change in walking or moving. Or the person may become unusually withdrawn, sleepy or quiet. The main thing to look out for is a ‘sudden’ change in how they usually are. Causes can include infection, dehydration, underlying disease and constipation. Early diagnosis ensures that every individual with initial signs of dementia is able to plan for their short, medium and long term health and well-being needs. A medical diagnosis will help to rule out other conditions that may have similar symptoms to dementia. It is important to remember that the diagnosis of dementia can have an effect on the person’s emotions. A diagnosis can benefit the wider family and enable them to understand what is happening and how they can help. A diagnosis helps get the best treatment, support and plans in place as soon as possible. This includes looking at finances, legal issues and making decisions for the present and the future. Although there is no cure for dementia, medication and other interventions can be used to help manage the symptoms. What communication challenges can a person with dementia face? A person with dementia might become more confused, restless and disorientated at certain times of the day. This could be the lead up to them becoming more distressed and upset. Group activity – Identify some good communication tips? remember that it takes time for people with dementia to take in a question – just wait, be patient. enjoy interacting together and use humour to communicate this pleasure. Take account of any hearing or visual problems or second language difficulties. Repetitive questions from people with dementia can be challenging—try to respond as though it is the first time you have heard the question. Whatever is said to you, it is best to accept this and not argue. Remember we communicate a lot through our body language, facial expressions, and tone of voice. if we appear resentful or unhappy, we can bring a sense of gloom. ‘I want my mother.’ …a need for love and comfort, like that received from a mother or someone else with whom the person felt safe. ‘I want to go home.’ …a need for privacy, security and comfort. They are asking to go home when they are at home. Why? They might be missing a sense of safety, security or familiarity. Having a look at some familiar things could help, e.g. old photos or videos, or items around the home. Talk to them about their ‘home’ and give some reassurance. They are feeling sad or angry and can’t explain why. Why? It could be a sign of unidentified pain or something irritating them about their environment. What can we do? Check the temperature of the room. Check for signs of bruising, redness, unusual swellings, or other conditions like arthritis, tooth ache or headache. Seek advice from a GP about pain relief. You could also validate the person’s feelings by saying, “You look sad about something”. They cannot find or use the right word for something. Why? Difficulty finding a word might be a direct result of changes to the brain, specifically the temporal lobe. It could also be due to tiredness, distress or a noisy environment. What can we do? Give the person plenty of time to reply and use pictures and notes if you can. Listen very carefully to the person and watch their body language. Reduce external distractions such as noise from the TV. They look confused, like they don’t understand you. Why? This could be due to a lower level of understanding, difficulty with concentrating or too many distractions. What can we do? Be reassuring and gentle. Try saying or asking in a different way. Give the person time. If appropriate, use touch. Reduce external distractions. They become withdrawn or are not responding. Why? This could be due to difficulty with understanding or an inability to express themselves due to language problems, temporal lobe damage, or possible depression. What can we do? Face the person, and gain eye contact. Pace the conversation. Don’t give too much information or ask too many questions. Investigate whether depression could be an issue. The person living with dementia says: “What are you doing in my house? Who are you?” Why? Loss of recognition of familiar people, faces, environment. This could be due to fear or memory changes. If this occurs suddenly it could be indicative of an infection or physical ill health. What can you do? It is important that people with dementia are encouraged to maintain the activities they enjoy and continue to be active. However, you should be sensitive to any activities that may cause frustration. What types of activities do you do here? The care received by people who have dementia must take into account each person’s individual needs and preferences and be delivered with patience, dignity and respect at all times, that is, it must be person-centred. How can you ensure that the activities are person centred? It is important to recognise when people with dementia become more dependent, and support this appropriately. Always try and support people with dementia to self care including using the toilet for as long as possible. Ensure that you support people with dementia in making their own choices, including what to eat and drink. It is essential to presume a person has the capacity to make decisions for themselves unless it is proved otherwise. You should assess the person’s capacity to make decisions in accordance with the Mental Capacity Act. Mental Capacity – What is meant by this? Mental capacity is a term used to describe an individual’s ability to make their own decisions. 1. Start off by thinking that the individual can make their own decision. 2. Give all practicable support to enable the person to make their own decision. 3. Never say someone can’t make a decision just because someone else thinks it’s wrong or bad. 4. When an individual can’t make their own decision someone has to make it in the best way for them. 5. When someone makes a decision for an individual they must consider whether there is a less restrictive option. i.e. one that does not limit their rights or freedom more than necessary. People with dementia can find that unfamiliar situations become very confusing and often they struggle with changes to their environment and routines. They may not perceive the environment or other people’s actions in the same way as we do. This may lead to uncharacteristic behaviour that is difficult to understand and manage. –What could cause challenging behaviour? -your or others’ responses to their actions. Behaviour – What might they be trying to communicate? Be aware that challenging behaviour can be managed and supported in a variety of different ways, not just through medication. You should be able to support people with dementia in a person-centred way which should help you identify any triggers that cause their challenging behaviour. Always consider whether there is an unmet need that is causing the challenging behaviour. Try to remember that all behaviour is a reaction to a feeling—try to understand why someone may feel the way they do. Stay calm: Try to show you are relaxed. If speech is hard to understand, think about what the person might be trying to say. Pick up clues from a person’s body language about how they are feeling. Allow the person to express sad / angry emotions. be creative in finding alternative activities to help an individual move on from feelings of anxiety. “As their dementia progresses, people may be less able to enter our world – we may need to enter theirs and enjoy it with them” as campaigner Barbara Pointon puts it. Principle 6 Family members and other carers are valued, respected and supported just like those they care for and are helped to gain access to dementia care advice. You should be able to encourage family and friends to participate in shared activities with the person with dementia. Signposting people to information to help them understand the impact of dementia or to refer them to colleagues/other sources of advice who can help them with this. Managers working in health and social care have a responsibility to ensure their teams are adequately trained and supported to be able to meet the needs of people with dementia. Different members of the team may require different levels of support and training depending on their specific job role, the nature of their work and the support needs of the people they are working with. Managers should encourage staff to see the person and not the condition. Care provided should be designed specifically for the person affected with all practitioners liaising together to support personalised care. Coordinated support must include sharing of relevant information (when appropriate) with other practitioners. Aim to have a seamless approach between different teams and agencies to support people with dementia. Lancaster, Manchester, Liverpool, Warrington, Blackpool, Chester, Stockport, Sale, Bolton, Preston, Rochdale, Blackburn, Wigan, St. Helens, Wythenshawe, Salford, Oldham, Southport, Birkenhead, Bury, Bootle, Carlisle, Northwich, Burnley, Barrow-in-Furness, Crewe, Runcorn, Widnes, Wallasey, Ellesmere Port, Altrincham, Macclesfield, Crosby, Leigh, Accrington, Lancaster, Ashton-under-Lyne, Middleton, Lytham St Annes, Urmston, Kirkby, Skelmersdale, Eccles, Stretford, Denton, Leyland, Chadderton, Morecambe, Chorley, Hyde, Huyton, Thornton-Cleveleys, Prestwich, Saddleworth, Winsford, Farnworth, Radcliffe, Nelson, Kendal, Heywood, Reddish, Darwen, Hindley, Cheadle Hulme, Fleetwood, Congleton, Swinton, Workington, South Turton, Westhoughton, Wilmslow, Ormskirk, Golborne, Whitehaven, Stalybridge, Marple, Whitefield, Droylsden, Penwortham, Formby, Litherland, Newton-le-Willows, Aherton, Rawtenstall, Royton, Walkden, Shaw and Crompton, Failsworth, Maghull, Halewood, Horwich, Irlam, Dukinfield, Colne, Poulton-le-Fylde, Sandbach, Ramsbottom, Moreton, Bramhall, Nantwich, Haslingden, Upton, Hazel Grove, Clitheroe. Bedale, Easingwold, Filey, Harrogate, Knaresborough, Malton, Middleham, Northallerton, Pickering, Richmond, Ripon, Scarborough, Selby, Settle, Skipton, Tadcaster, Thirsk, Whitby, York, East Yorkshire, Bridlington, Beverley, Driffield, Goole, Hedon, Hessle, Hornsea, Howden, Kingston upon Hull, Market Weighton, Pocklington, Withernsea, South Yorkshire, Barnsley, Bawtry, Dinnington, Doncaster, Hatfield, Mexborough, Penistone, Rotherham, Sheffield, Wombwell, West Yorkshire, Batley, Bradford, Brighouse, Castleford, Cleckheaton, Dewsbury, Halifax, Hebden Bridge, Holmfirth, Huddersfield, Ilkley, Keighley, Leeds, Morley, Normanton, Ossett, Otley, Pontefract, Pudsey, Todmorden, Wakefield, Wetherby, Yeadon, Chester, Crewe, Ellesmere Port, Macclesfield, Northwich, Hazel Grove and Bramhill, Wilmslow, Winsford, Congleton, Sandbach, Neston, Alsager, Poynton, Nantwich, Middlewich, Knutsford, Lymm, Frodsham, Bollington, Weaverham, Holmes Chapel, Helsby, Prestbury, Disley, Saughall, Tarporley, Willaston, Kelsall, Tarvin, Rode Heath, Goostrey, Tattenhall, Mickle Trafford. Training is teaching, or developing in oneself or others, any skills and knowledge that relate to specific useful competencies. Training has specific goals of improving one’s capability, capacity, productivity and performance. It forms the core of apprenticeships and provides the backbone of content at institutes of technology (also known as technical colleges or polytechnics). In addition to the basic training required for a trade, occupation or profession, observers of the labour-market recognize as of 2008 the need to continue training beyond initial qualifications: to maintain, upgrade and update skills throughout working life. People within many professions and occupations may refer to this sort of training as professional development. Some commentators use a similar term for workplace learning to improve performance: “training and development“. There are also additional services available online for those who wish to receive training above and beyond that which is offered by their employers. Some examples of these services include career counselling, skill assessment, and supportive services. One can generally categorize such training as on-the-job or off-the-job. The on-the-job training method takes place in a normal working situation, using the actual tools, equipment, documents or materials that trainees will use when fully trained. On-the-job training has a general reputation as most effective for vocational work. It involves employee training at the place of work while he or she is doing the actual job. Usually, a professional trainer (or sometimes an experienced employee) serves as the course instructor using hands-on training often supported by formal classroom training. Sometimes training can occur by using web-based technology or video conferencing tools. Simulation based training is another method which uses technology to assist in trainee development. This is particularly common in the training of skills requiring a very high degree of practice, and in those which include a significant responsibility for life and property. An advantage is that simulation training allows the trainer to find, study, and remedy skill deficiencies in their trainees in a controlled, virtual environment. This also allows the trainees an opportunity to experience and study events that would otherwise be rare on the job, e.g., in-flight emergencies, system failure, etc., wherein the trainer can run ‘scenarios’ and study how the trainee reacts, thus assisting in improving his/her skills if the event was to occur in the real world. Examples of skills that commonly include simulator training during stages of development include piloting aircraft, spacecraft, locomotives, and ships, operating air traffic control airspace/sectors, power plant operations training, advanced military/defence system training, and advanced emergency response training. Off-the-job training method takes place away from normal work situations — implying that the employee does not count as a directly productive worker while such training takes place. Off-the-job training method also involves employee training at a site away from the actual work environment. It often utilizes lectures, seminars, case studies, role playing, and simulation, having the advantage of allowing people to get away from work and concentrate more thoroughly on the training itself. This type of training has proven more effective in inculcating concepts and ideas. Many personnel selection companies offer a service which would help to improve employee competencies and change the attitude towards the job. The internal personnel training topics can vary from effective problem-solving skills to leadership training. Training and development involves improving the effectiveness of organizations and the individuals and teams within them. Training may be viewed as related to immediate changes in organizational effectiveness via organized instruction, while development is related to the progress of longer-term organizational and employee goals. While training and development technically have differing definitions, the two are oftentimes used interchangeably and/or together. Training and development has historically been a topic within applied psychology but has within the last two decades become closely associated with human resources management, talent management, human resources development, instructional design, human factors, and knowledge management. Training and development encompass three main activities: training, education, and development. The “stakeholders” in training and development are categorized into several classes. The sponsors of training and development are senior managers. The clients of training and development are business planners. Line managers are responsible for coaching, resources, and performance. The participants are those who actually undergo the processes. The facilitators are Human Resource Management staff. And the providers are specialists in the field. Each of these groups has its own agenda and motivations, which sometimes conflict with the agendas and motivations of the others. Especially in the last couple decades, training has become more trainee-focused, which allows those being trained more flexibility and active learning opportunities. For example, these active learning techniques include exploratory/discovery learning, error management training, guided exploration, and mastery training. Typical projects in the field include executive and supervisory/management development, new-employee orientation, professional-skills training, technical/job training, customer-service training, sales-and-marketing training, and health-and-safety training. Training is particularly critical in high-reliability organizations, which rely on high safety standards in order to prevent catastrophic damage to employees, equipment, or the environment (e.g. nuclear power plants, operating rooms). However, if the training and development is not strategic and pointed at specific goals, it can lead to more harm than good. Needs assessments, especially when the training is being conducted on a large-scale, are frequently conducted in order to gauge what needs to be trained, how it should be trained, and how extensively. Needs assessments in the training and development context often reveal employee and management-specific skills to develop (e.g. for new employees), organizational-wide problems to address (e.g. performance issues), adaptations needed to suit changing environments (e.g. new technology), or employee development needs (e.g. career planning). The degree of effectiveness of training and development programs can be predicted by the needs assessment and how closely the needs were met, the execution of the training (i.e. how effective the trainer was), and trainee characteristics (e.g. motivation, cognitive abilities). Effectiveness of training is typically done on an individual or team-level, with few studies investigating the impacts on organizations. Compliance training refers to the process of educating employees on laws, regulations and company policies that apply to their day-to-day job responsibilities. An organization that engages in compliance training typically hopes to accomplish several goals: (1) avoiding and detecting violations by employees that could lead to legal liability for the organization; (2) creating a more hospitable and respectful workplace; (3) laying the groundwork for a partial or complete defence in the event that employee wrongdoing occurs despite the organization’s training efforts; and (4) adding business value and a competitive advantage. Organizations offer their employees compliance training on a wide range of topics, including workplace discrimination and harassment, dealings with competitors, insider trading, protecting trade secrets, records management, bribery and kickbacks, etc. Typically, most or all of these compliance topics are addressed in an organization’s Code of Conduct, and the organization may offer employees annual or bi-annual Code of Conduct training in lieu of requiring employees to take multiple individual training programs. There are many industries that require highly specialized and unique compliance training. Some of these industries include the medical industry, banking industry, pharmaceutical industry and the food and beverage industry. Who is required to have compliance training? Companies in all business sectors are under pressure to demonstrate that their employees are trained in laws and regulations, and internal policies, that pertain to their roles. Most notably, companies in the financial and healthcare sectors – who face stringent regulations – and publicly regulated companies have taken the lead by instituting firm-wide compliance training programs. For example, WalMart would be required to train their employees on sexual harassment, data security, anti-harassment, and more. For financial institutions, the key compliance training topics are anti money laundering, sanctions, and insider dealing (market abuse in the EU). 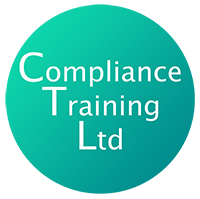 Compliance training can be performed in-house by compliance training specialists, or hired out to consultant firms. Some compliance training is done online. While this is entirely tied to the realm of compliance that is being considered, the penalties can range from a Fine, through the seizure of company assets, to jail time for executives of the company at fault.